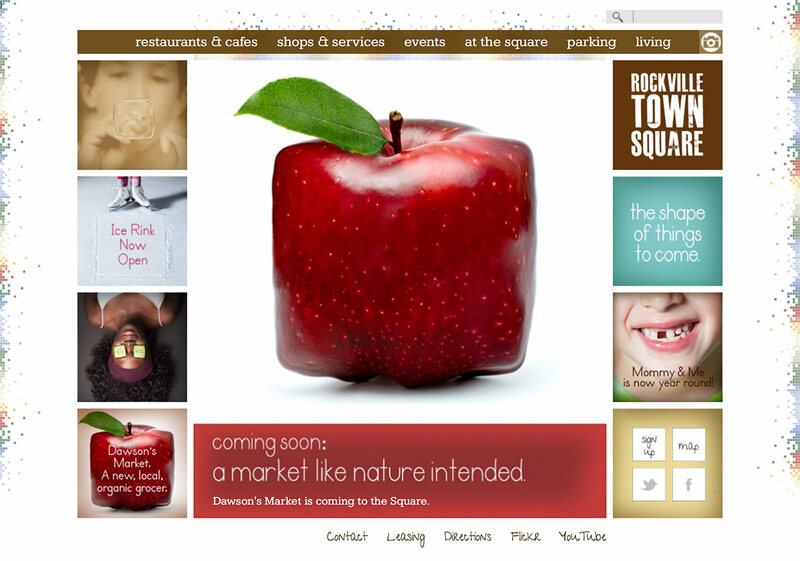 CHALLENGE In 2011, Rockville Town Square was a struggling mixed use destination with limited parking. With new, exciting retail (including a grocery anchor), additional parking, and updates to the placemaking and buildings themselves, Federal Realty wanted to refresh the brand to breathe new life into the property and lift awareness. 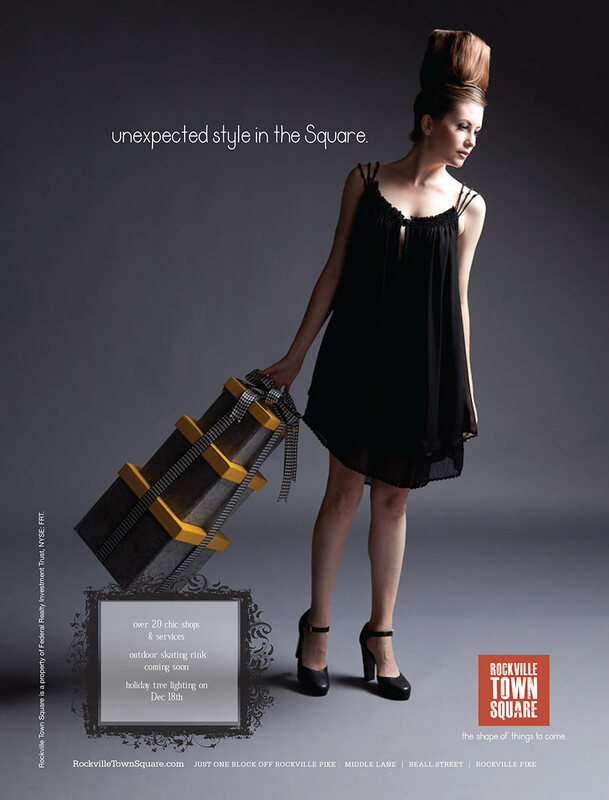 SOLUTION Create a new brand that showcased the Square as a vibrant place to shop, dine, and enjoy life. 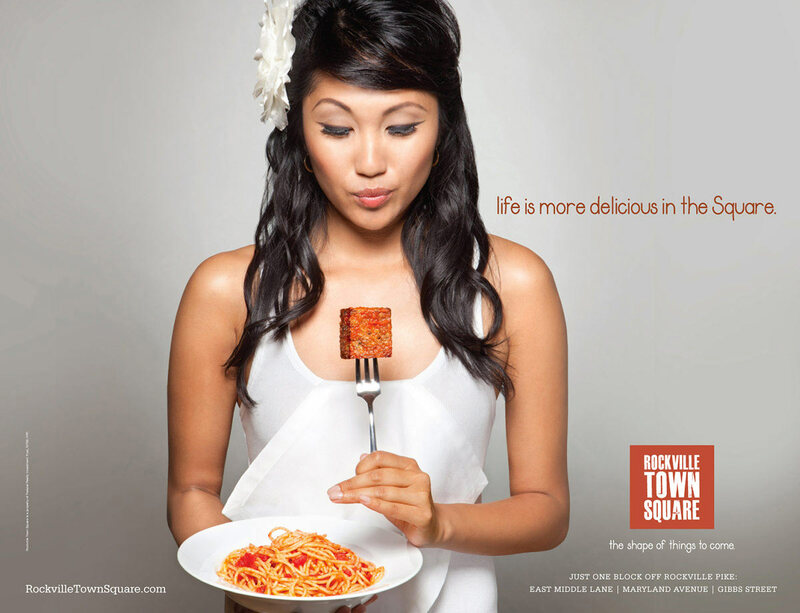 Use the shape of the square to reinforce a sense of place and a relevant destination. 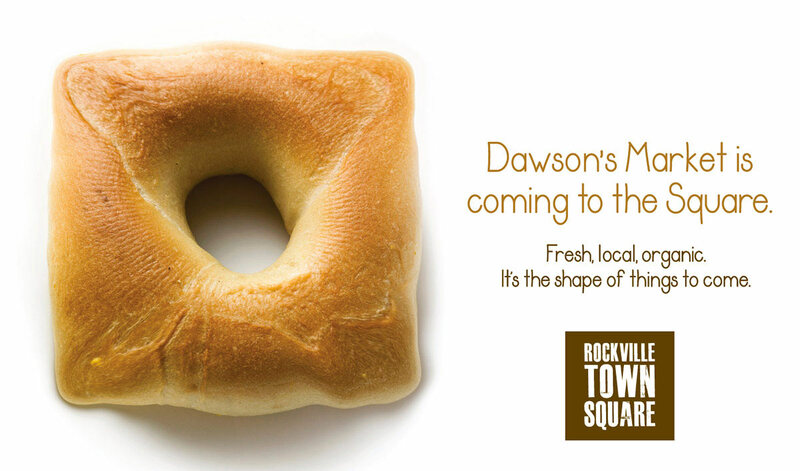 Highlight new anchor tenant Dawson’s Market, additional and free parking opportunities, and emphasize community events to drive regular traffic and a loyal consumer following. The brand was brought to life via signage, a website, events, out-of-home advertising, and a social media campaign. RESULTS Retail sales lifted, and signature activations continue to draw consistent and heavy traffic to the property.